I’ve never hidden my adoration for legendary act Comet Gain, but today I was given a gift of that I wasn’t expecting; Fortuna Pop gathered all their friends to record a cover of “You can Hide Your Love Forever.” The song fulfills the labels last of their subscription series, so this might be your only way to enjoy the song; you can find the original on Comet Gain’s album Broken Record Prayers. There’s too many names to mention them all, but members of notable bands like Allo Darlin, The Loves, Hefner, Spook School, Martha, Flowers…and Emma Kupa who gets bass credit (though no vocal credit?! )…all play a part. A delightful tune, in both original and cover. 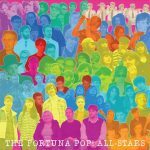 I have a feeling that in about a decade, folks will look back on Fortuna Pop as the Sarah Records of its day…bummer its hard to get all those albums in the US. Anyways. Enjoy pop. 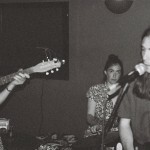 Some labels, like Emotional Response, have a knack for discovering great acts you might not hear, such as stunning new group Sparrow People from Australia. The band will debut a new 7″ for the label while they work on their full length, and I’m falling into a deep wormhole with these songs. There’s this simplicity to their songwriting, much like my adored Comet Gain; it’s the execution of the songs, and the added layers, that truly make this some of the best casual pop you’re going to hear. Here’s two songs for you to love. 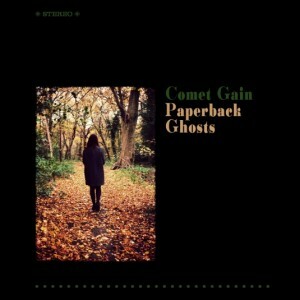 Honestly, I’m always going to throw out a new Comet Gain song; they’ve long been one of my most adored bands, so I see no reason to stop that nonsense now. On their latest single, you get a glimpse at some of the more explorative approaches the band has taken over their career. This tune is definitely more of a far out sound, and less pop-centric, but I think it portrays a band that continues to grown and shape their sound. 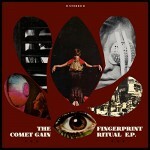 This tune comes off the Fingerprint Ritual EP, which was recorded at the same time as their last LP, Paperback Ghost. 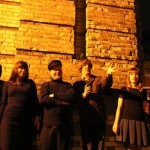 It’ll be released by Fortuna Pop on April 6th. 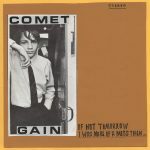 I’ll admit it, I’m a little late to be jumping on the Comet Gain fan express, as they’ve been making records for the past 22 years and I am just now becoming acquainted with David Feck and company and their epic jangly indie pop tunes. 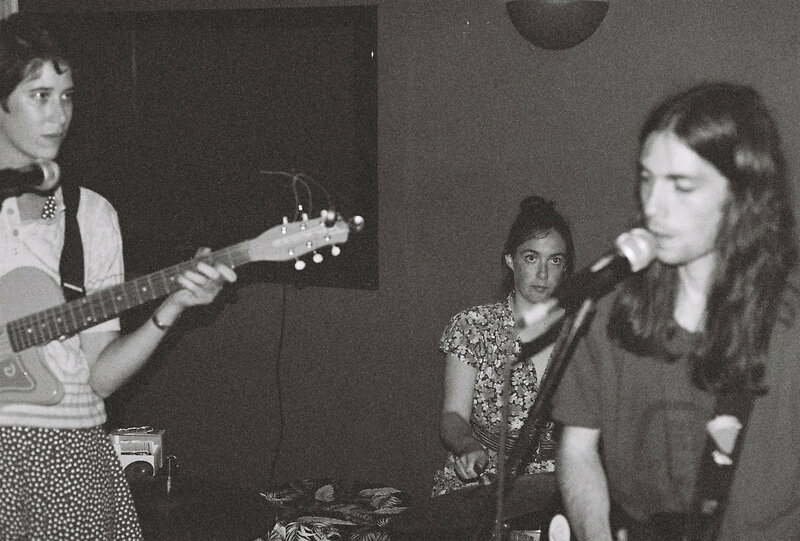 I say epic because though they specialize in the jingly-jangly guitar that is textbook for indie pop, Feck brings in this heavy element of poetic narratives that pervades all of the tracks and brings it to a whole new level of detail. 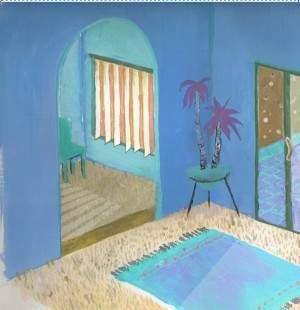 Paperback Ghosts is an exploration into love lost and the nostalgia that seems to haunt long after its disappearance. 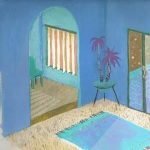 It would be easy to dismiss this record as just jangly indie pop, when in reality it’s that and so much more. Yea, there are tracks that do this genre more than justice, like second up on the album “Sad Love and Other Short Stories” which begins with familiar angular electric and backing acoustic guitars while Feck spins tales of morose love tales, musing “what’s the saddest love of all?” and then offering his interpretation of what could be the answer to this question. His lyrics are quick and witty, giving you vivid images alongside the jangle pop. The words and vocals are mixed as equals to the instrumentation, making it clear where exactly your attention and focus should be. To finish it off you get some string arrangements that coat everything in a nostalgic bath as the song comes to its close. They give you quality jangle with other layers and textures that push it beyond. 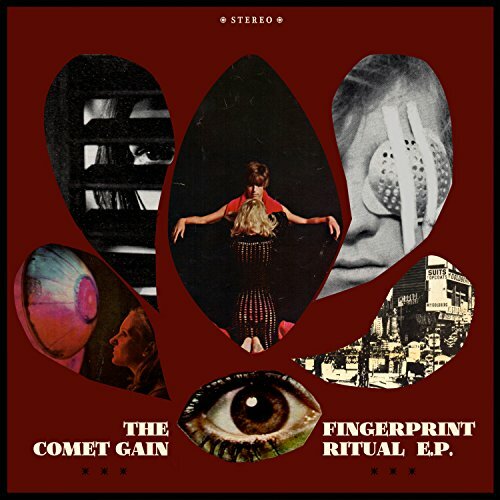 While they give you solid tunes like the aforementioned track, Comet Gain also brings you the blues a bit, or some heavier tracks. On these numbers, the band digs in, and the guitars get a bit fuzzier and the synths more prominent. “(All The) Avenue Girls” brings in some female vocals and the old fashion organ-esque synthesizer that runs through the whole tune, and for some of the rest of the album gives it a timeless flair. End number “Confessions Of A Daydream,” is another example of this bluesy tinge, complete with gritty guitars and Feck’s vocals straying the furthest from where we first met him at the beginning of the album. We get the image of a disheveled frontman instead of a put together poet, but the imperfections of the song make it an interesting twist to finish the album. Paperback Ghosts is an adamant testament to the talent of this man and the musicians that have accompanied him through the years to keep putting out relevant records of indie pop. It takes a lot to stay current, but Feck doesn’t seem too preoccupied at all with keeping up with the times, rather more with doing his own thing. It’s worked for 22 years and it has worked once again this time around; beautiful songwriting abounds and you have yourself a collection of deep tunes to spin around your office or house and really sink into. Let’s just say Comet Gain has made a fan out of me.